The pending lawsuit, against a prominent law firm that advised convicted Ponzi schemer Nevin Shapiro, illustrates the possible consequences when lawyers fail to identify their client as a Ponzi early on, and exit the relationship. We have previously covered this litigation in a prior article*, but a new, and more professionally disturbing, development recently appeared. Counsel for the plaintiff, a victim who sues the Ponzi's law firm on several causes of action, asked the Court for the performance reviews, personnel files, and sundry other extremely personal professional information about the attorneys who advised their client, who is now serving an extended term in Federal Prison for his crimes. Though the judge denied these requests, the point remains: when lawyers unwittingly advise Ponzi schemers, and do not learn about their client's true purpose until it's too late, they risk being placed under a microscope in subsequent litigation against them by the victims. That is just one more reason to always periodically review your clients for suspicious activity, irrespective of your profession. 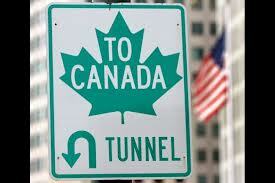 Bulk cash smuggling, once proven at trial, is rarely overturned on appeal. One of the few appeals of bulk cash smuggling convictions that I have seen lately has been dismissed. 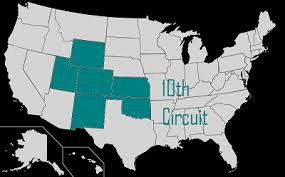 A defense contractor, who smuggled US currency back into America from Iraq, and had his attorney file an appeal of his District Court conviction, has had his appeal dismissed by the Tenth Circuit Court of Appeals*. donald Gene Garst, who had smuggled $150,000 into the Continental United States, was sentenced to two and a half years in prison, and fine $52,000 . The Appellant's attorney had filed an Anders Brief**, and moved to withdraw as counsel of record. He assigned as points on appeal the two-level enhancement, and ineffective assistance of counsel, for not rebutting the enhancement with evidence. The attorney, pursuant to his obligation as a zealous advocate, had filed the appeal, but stated that he believed the appeal to be frivolous. The Appellant. Pro Se***, later agreed in a filing that the appeal lacked legal merit, but was trying to preserve his claim of ineffective assistance of counsel. 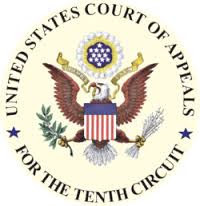 The 10th Circuit, in its opinion, held that this type of claim was not to be filed in a direct appeal, but in a collateral attack, pursuant to 28 USC §2255. * Case No. : 13-3047 (10th Cir. 2013). **Anders v. California, a 1967 US Supreme Court decision that allows counsel to file an appeal, as directed by their client, but to also be candid with the court about the merits at law of the claim. *** Filin in Proper Person, without an attorney. 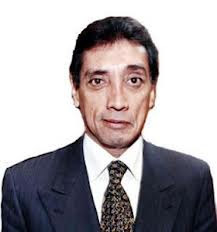 Due to a plea agreement, in which he was allowed to enter a guilty plea to a single count of Conspiracy to Commit Money Laundering, Mario Ernesto Villanueva Madrid, the former governor of Mexico's Quintana Roo State, was sentenced, in US District Court in New York, to a term of imprisonment of ten years and eleven months. The defendant, who has already served a six year term in Mexico for his crimes, reportedly still owes twenty three years in prison to his native country. 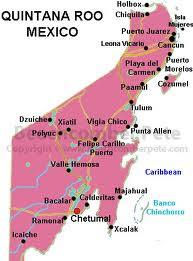 Villanueva accepted $17m in bribes, to allow the Juarez Cartel to freely move large shipments of narcotics through Quintana Roo State, en route to the United States. He later used an investment broker at Lehman Brothers to launder his illicit wealth, hence the money laundering charges; she was previously convicted for her role. Considering that Villanueva was instrumental in facilitating the entry, into the United States, of massive amounts of drugs, in my humble opinion, the sentence seems inadequate. What do you think ? * Case No. : 01-cr-00021-VM (SDNY). 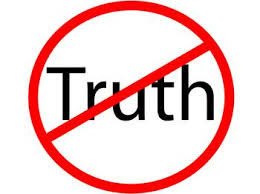 Compliance officers performing due diligence investigations know to discount the accuracy of media from Middle Eastern countries that are not democracies, but sometimes, even in those with democratic traditions, someone seeks to hide the truth. This week, after the Lebanese Army was joined by fighters from Hezbollah, in attacking the forces of a radical Sunni religious leader in Sidon, who opposes the Syrian Assad regime, army spokesmen delivered a blunt, public warning to Lebanese media. The army threatened that, if any local media showed that Hezbollah troops participated in combat operations, against the Sunni group in Sidon, they would file what were described as judicial charges, against those news outlets that did. 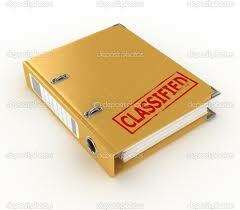 In truth and in fact, the army, supposedly a neutral entity, was seeking to suppress information harmful to Hezbollah. Direct domestic, military, involvement of Hezbollah may reflect negatively upon the stability of Lebanon, and therefore, its Country Risk. While I am a regular reader of the Beirut newspaper, The Daily Star, when government actors in Lebanon seek to suppress truth in media, I must now consider that, in looking at any open sources of information originating in Lebanon in the future. The aircraft was completely destroyed. Mexico's strict laws regarding the deposit of currency have forced narcotics traffickers to continue to transport their US-source criminal proceeds into the Republic of Panama. 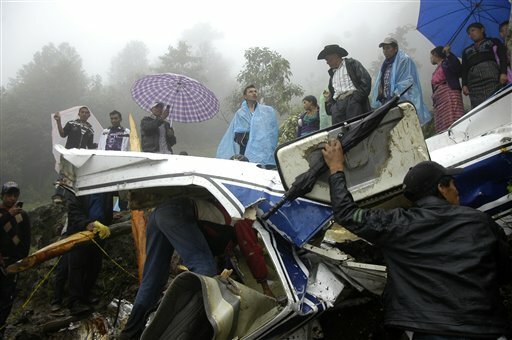 A light aircraft that crashed in the mountains of western Guatemala, resulting in the death of all six on board, was carrying a large amount of US Dollars, and some Mexican Pesos, on a southbound flight. Reports confirm that a Venezuelan national was in command of the bulk cash smuggling operation; he has been publicly identified as Elio Brito Laricchia, whose Cédula [national identity card number] is V-8344237. 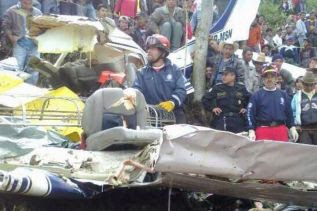 Local Guatemalan villagers looted most of the bags of currency from the aircraft before rescue crews arrived, and reportedly attempted to block investigators from removing the bodies. The aircraft, identified as a Cessna 206 Stationair, Mexican registry XB-MSN, was not authorized to enter Guatemalan airspace. Quantities of jewelry, a weapon, and credit cards were also recovered from the wreckage. A Monsignor, who is the Bishop of Salerno, and who is a senior financial official in the Vatican, has reportedly been arrested by Italian Authorities, in a plot to smuggle in €20m from Switzerland. 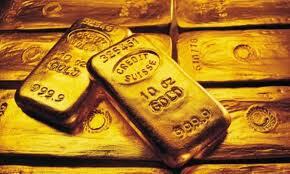 Also in custody are an agent of the Italian Secret Service, and a financial adviser. The details of the case are extremely troubling; The priest arrested is reportedly the senior accountant, in charge of real estate holdings. 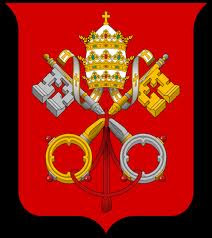 How widespread is the involvement of other Vatican officials in money laundering ? The individual was apparently already under investigation in another money laundering case. 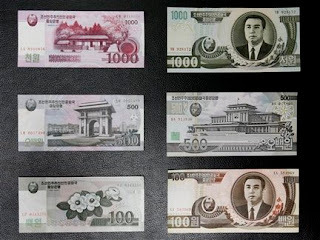 Kindly note that the US Treasury-sanctioned BVI company, DCB Finance Ltd., which is affiliated or controlled by now-sanctioned DPRK entity, Daedong Credit Bank, has a name very similar to several legitimate financial entities, including some in the United States. 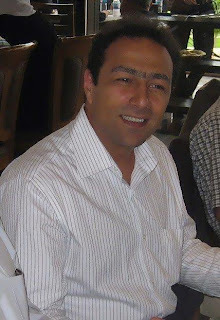 (3) Development Credit Bank Ltd.
Our recent article*, about Anoush Ghamsari**, the unlicensed immigration consultant who repeatedly used third country passports to illegally bring Iranian nationals into Canada, has yielded additional information from the Iranian expat community in Toronto; He has been involved in a two million dollar financial fraud in Canada. A representative of the victim banking group recently arrived in Toronto, seeking information about the scheme. It appears that Mr. Ghamsari, using a non-existent corporation that he called A.M.G. 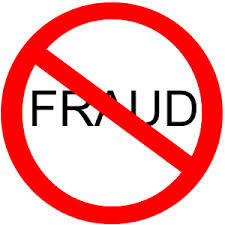 Group Inc. (Canada), fraudulently sold a one-half interest in a financial services firm, to a group of Iranian investors, whose corporate entity was identified as I.T.S., LLC (Dubai). The problem is, he had no right, title or interest in and to the shares of stock of the company, and could not legally sell them. In truth and fact, he had stolen them from the rightful owners, and could not convey good title. He also sold the victims useless debit card blanks; when the victims contacted the Central Bank of Iran, to activate the cards, they were informed that they could not be used to access the global credit card payment system. The stolen shares of stock were later cancelled and nullified by the issuing company, and are essentially void, leaving the victims in possession of worthless documents, and out more than $2m. The proximate cause of their loss was the fraud of Mr. Ghamsari; I have reviewed the agreements and documents in this case, and they confirm the accuracy of the information contained in this acrticle. Should you encounter this gentlemen, you are strongly advised to disengage from any contact immediately, as Ghamsari is reportedly under criminal investigation in Canada. **His full name is Anoushiravan M. Ghamsari. .
ARE AMERICAN TAX CHEATS REPATRIATING THEIR LAUNDERED FUNDS FROM SWITZERLAND ? 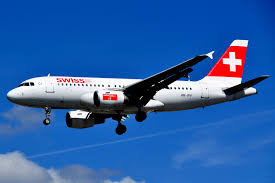 This week's story, involving the theft of $1.2m in US currency, from cargo that had arrived at JFK Airport in New York, on a Swiss Air Lines flight, is of interest to compliance, not because of the nature of the crime, but for the back story. 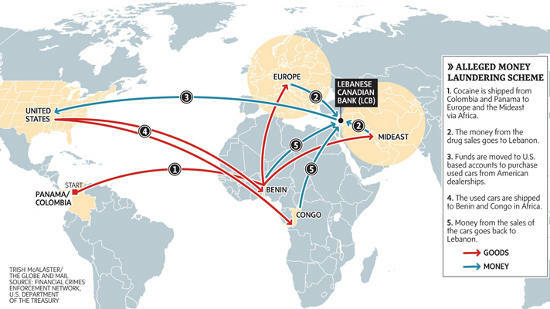 The currency was but a small part of a $93m sealed shipment, which originated from a yet unnamed US bank's Zurich office, and was destined for the Federal Reserve's New Jersey cash processing center, classified an an intra-bank transfer. While routine bulk cash shipments occur every day, one wonders just how much of that ninety-three million belonged to American tax cheats, artfully laundered in Switzerland, and being repatriated, under the guise of one or more well-planned investments, by foreign entities. Obviously, as the US continues to lean on Swiss banks for information regarding their wealthy US clientele, prudent money launderers, located in Geneva, Zurich and Lugano are creating credible fronts for their customers' assets, with an eye towards investing at least some of those funds in the United States. Good money launderers always anticipate trouble, and try to be several steps ahead of both regulators and law enforcement. Rest assured that they are fully engaged in moving their clients' wealth out of Switzerland, and what better place to invest it but America ? WILL SWISS COURT ACTION INVITE AMERICAN RESPONSE ? 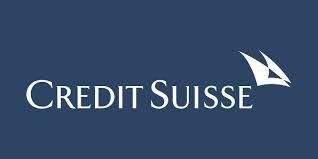 The Cantonal Tribunal Premiére Instance, in Geneva, has ruled that Credit Swisse Group AG may not turn over, to United States tax authorities, documents and personal information data regarding a former Credit Swisse employee. The US had requested information on the unnamed individual, who had reportedly worked at the division of Credit Swisse in Geneva that dealt with US customers. An injunction has been issued by the Court, to block the transfer of the information about the employee, who was allegedly involved in illegal cross-border market trading activities. Privacy considerations aside, this Swiss action, coming at a time of delicate Swiss-American relations, regarding requests for information on US tax cheats, could jeopardize the recent agreement in principle, which would free Swiss financial institutions from the threat of further US indictments. I understand that personal information has greater safeguards in Europe than in the United States, but Swiss roadblocks, like this decision, could again open the floodgates of American indictments of Swiss banks, and bankers. Does the Swiss Government really want this ? I seriously doubt whether it has the stomach for more negative media exposure about Switzerland as an aider and abettor of tax evaders. The filing of new indictments against Swiss banks could result in an increase in Country Risk for Switzerland, especially after the Wegelin & Cie. case. Let us hope that Swiss stonewalling, using the pretext of individual privacy rights, does not provoke a response. The United States Attorney for the Southern District of New York has announced a settlement of the 2011 civil suit*, filed against the Lebanese-Canadian Bank, in liquidation, for $102m, for laundering Hezbollah criminal proceeds. 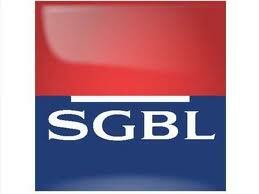 In addition to the liquidators of the bank, the Stipulation was executed by Société Géneralé de Banque Au Liban SRL, which acquired certain bank assets. Readers who wish to review the US Attorney Press Release, and the complete text of the Stipulation & Order in the case, it can be accessed here**. (The Stipulation is a link at the bottom of the Press Release). *United States vs, Lebanese Canadian Bank, et al, Case No. : 11-cv-9186 (SDNY). WILL PROMINENT VENEZUELAN BUSINESSMAN BE CHARGED IN MASSIVE CONNECTICUT HEDGE FUND PONZI SCHEME ? 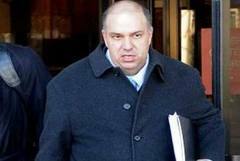 Francisco Illarramendi, the unregistered hedge fund advisor who pled guilty, two years ago, in Federal Court in Connecticut, to running a $500m Ponzi scheme, has had his sentencing rescheduled again, this time to 30 September, 2013. Though the official word is that his multiple changes in legal representation are the reason for the repeated sentencing delays, such delays are often due to the fact that a convicted defendant is engaged in cooperating with the authorities, to obtain a shorter sentence, and that said cooperation is incomplete. The question on many minds is whether Moris Beracha, the wealthy Venezuelan businessman who has close ties to his country's government, has been, or will be, charged in the Illarramendi case, where three other co-defendants have already pled guilty. Federal indictments are generally sealed, and not available to the public, until the defendant is taken into custody, and Sr. Beracha, who now resides in the Dominican Republic, has reportedly remained outside the United States recently, though he owns property there, so we cannot ascertain whether he is a defendant in that case, based solely upon public records. Beracha's business dealings with Illarramendi are alleged, in sordid detail, in a Federal civil suit*, filed by the court-appointed Receiver of the entities which Illarramendi operated, in connection with his Ponzi scheme. It is claimed that he received exorbitant fees, and kickbacks, for injecting fresh capital into the unregistered hedge funds that Illarramendi was managing, to pay investors, and the Receiver, citing a figure of $170m, alleges that Beracha's funding allowed Illarramendi to extend the life of his Ponzi scheme, to the damage and detriment of the victims, which include Pension schemes of PdVSA, the government-owned oil company. A Demand for an Accounting was also included. The attorneys for the defendants filed a Limited Appearance, to object to personal jurisdiction, improper service of process, and Forum non Conveniens ***. These motions have not yet been ruled upon, though attorneys for both sides have filed extensive citations to relevant authorities. When the Court decides pending motions in the civil suit, we shall report back to our readers, and also shall in the event that additional defendants are named in the criminal case. * United States vs. Illarramendi, Case No. : 11-cr-00041-SRU (D Conn). **Carney vs. Beracha, Case No. : 12-cv-00180-SRU (D Conn). *** Inconvenient forum; it is a claim that the Connecticut Federal District Court should decline jurisdiction, as there is a more appropriate place to bring this action. 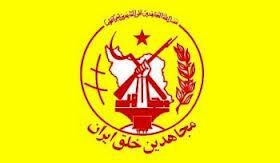 The Peoples' Mujahedin of Iran, also known as the MEK*, recently delisted as a terrorist organization by the US, has renamed itself the National Council of Resistance of Iran (NCRI), and has registered in Washington DC as a lobbyist. The NCRI, which is believed to be a front organization for the MEK, can now legally engage in fundraising in the United States. Since it is widely believed to be similar to a cult, treat this organization as high risk. Here's a nasty little surprise for bankers; when bank clients that are arrested, and in custody, are suspected of ongoing terrorist activities, a 2001 opinion of the US Attorney General allows law enforcement to monitor and listen in to private conferences between the client and his attorney. Yes, that's right, a special exception to the attorney-client privilege that could incriminate your bank and its staff. The agency rule, filed in the chaotic aftermath of the 9/11 hijackings, allows US law enforcement, if it has a reasonable suspicion to believe that a prisoner or detainee may use the communication with the attorney to further, or facilitate, acts of violence or terrorism. Remember the radical attorney Lynn Stewart*, who passed along messages for her terrorist client, and ultimately paid the price for her crimes ? Here's the threat: should law enforcement, while listening in on otherwise privileged attorney-client conversations or conferences, the agents may pick up damaging or incriminating information about your bank's role, in providing material support to a terrorist organization. Though they are prohibited from using it directly, I have a sneaking suspicion that such information will eventually find its way into the right (prosecutorial) hands, to the detriment of your defense in court. This is one more important reason why it is imperative that you constantly update, and monitor, your international clients, lest one of them involved in terrorist financing get arrested, and disclose damaging information about how he moved money through your bank, to his lawyer, which conversation was picked up and (unofficially) passed along by a law enforcement monitor conveniently listening to your client tell his lawyer how easy it was to move money through your bank, and which staff members assisted him. The last thing you want in 2013 is a terrorist financing investigation that centers upon your bank, and a client of yours that is suspected of terrorist acts. When four Hezbollah Venezuela agents were detained at the US-Mexican border, the fact that they were Lebanese nationals carrying valid Venezuelan passports was never released to the press*, with the result that compliance officers at American financial institutions were not made aware of this threat, and took no additional measures to ensure that the Venezuelan nationals seeking to open new accounts were not members of a designated terrorist group. This is but one illustration of the many instances where, for the sake of excessive secrecy, information critical to anti-money laundering and countering the financing of terrorism, is inappropriately classified, and denied to banking compliance. This information generally poses no threat to national security. (1) When a former associate of the Western Hemisphere's most powerful money launderer gave an American military intelligence agency his list of the fifty five Venezuelan money launderers who were operating in the Republic of Panama, that information was retained, classified, and has never been released to the banking community. I fully understand the policy; that to disclose the information "will compromise sources and methods" of collection of intelligence, but since the source has received political asylum in the United States, his cooperation was obvious, and well known. Why deny the banks this information ? I recognized many of the names on that list, and it is painfully accurate. (2) The names of FARC agents and money launderers have been known for years, ever since the Colombian Army captured several computers in its cross-border raid of a FARC camp in Ecuador, but neither the United States, nor Colombia, has never named them, even those operating outside Colombia. 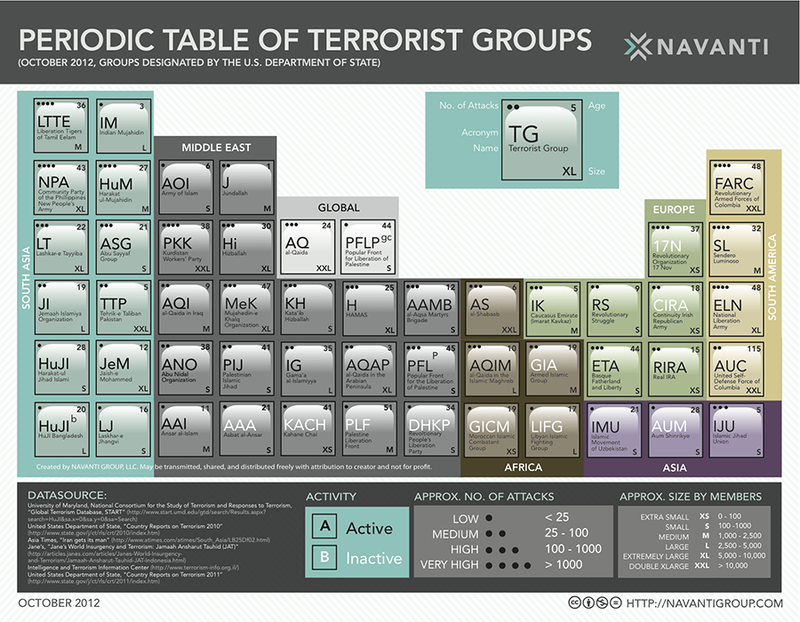 This does not help bankers identify terrorist financiers, and assist law enforcement in following the money. (3) Individuals involved in the Syrian organized crime connection operating in Panama, which launders massive drug profits, and the proceeds of corrupt activities from all over Latin America, are known to both law enforcement and intelligence service, but never made public. The results are that rampant money laundering continues unabated and undiscovered by the very banks that are unwittingly moving the dirty money. 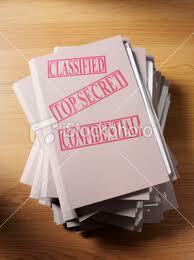 Excessive secrecy prevents compliance officers from doing their jobs properly. It makes it more difficult for them to anticipate emerging threats, to understand trends, and to stop financial crime. It is time that such information is made available to the banks, who are now on the frontline in the fight against money laundering and terrorist financing; they cannot accomplish this when critical information is kept from the, for no logical reason. * I only learned about it through an individual who attended a conference, where a military officer, in a moment of candor, revealed it to his audience. 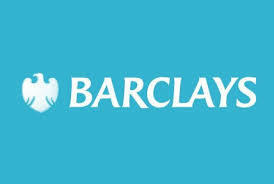 The uproar, from Somalia, over Barclays decision to exit all its Somali money service business accounts, conveniently fails to take into account the valid reasons for such action. Money transmitters/money service businesses in Somalia, which receive an estimated $1.2bn a year, consistently receive a failing grade when it comes to anti-money laundering and counter of terrorist financing. Indeed, they are financing designated terrorist organisations in that country, who extort millions of dollars from them, upon pain of violence. 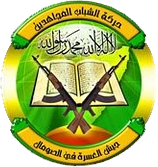 Al-Shabaab officials also have accounts at these MSB, which means there are issues of providing material assistance to a terrorist organisation. If $500m of the remittances come from the United Kingdom, and we know that a portion is being given to terrorists, in effect funding their operations, Barclays is eminently correct in shutting down all the remittance accounts. 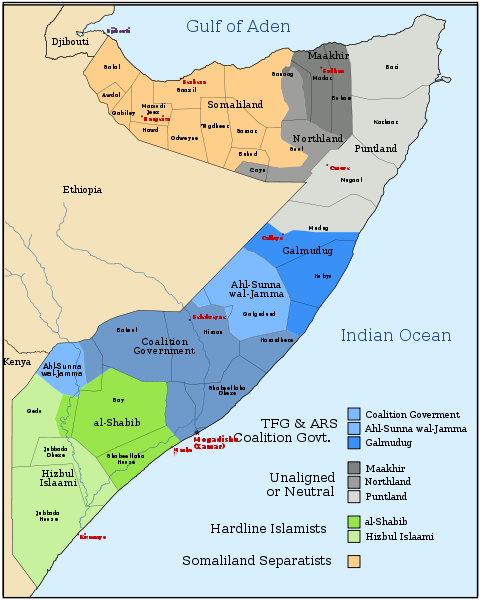 Canada and the United States are also experiencing issues with the unknown disposition of remittances to Somalia, and links between Somali expats and Al-Shabaab. If the Somali MSBs will be universally blacklisted, perhaps the domestic banking industry will return; what is needed is banks, with real AML & CFT, not MSBs under the thumb of terrorists. Battle between followers of a Sunni anti-Hezbollah cleric, and the armed forces of Lebanon, in Sidon this week, threatens to drown Lebanon in the mire of the Syrian Civil War. 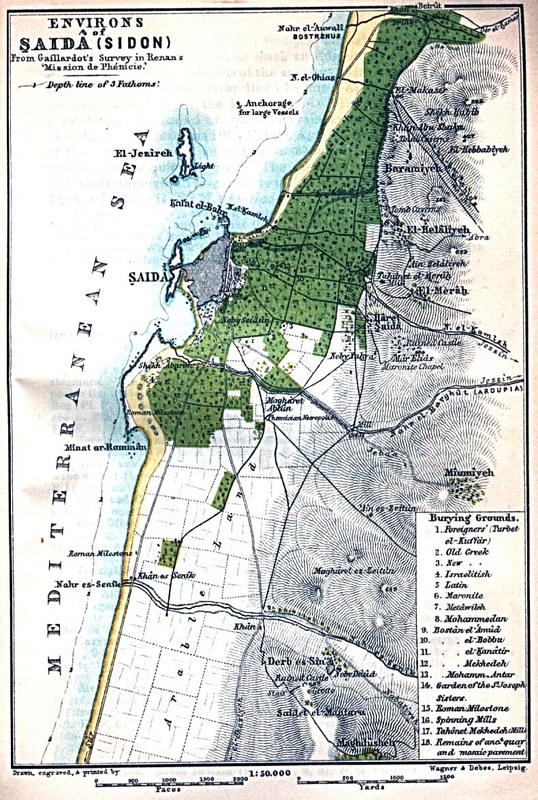 Thus far, only Tripoli has seen widespread violence, but now Sidon could represent a slide into chaos. Watch Country Risk for Lebanon carefully this week; a failure of the Lebanese Army to control Sidon could send Lebanon back into the abyss. WILL RUSSIA SWAP EDWARD SNOWDEN FOR VIKTOR BOUT ? Rumours, to the effect that Russian authorities have detained the American fugitive, Edward Snowden, inside a Moscow airport, and refused to allow him to board a Havana-bound jet, have fueled speculation, in Moscow, that an exchange, for the imprisoned Viktor Bout, in under consideration. Stranger things have happened. Always determine the use to which your client intends to put the funding you are disbursing to him. Two men, from upstate New York, seeking financial backers to build a mobile, remotely operated, truck-borne radiation emitting device, and targeting Muslims and other groups, were arrested by the FBI. 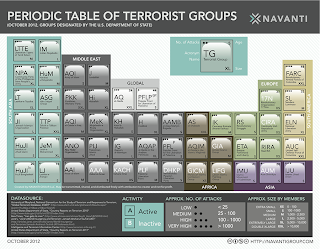 Charged with Conspiracy to Provide Material Support to Terrorism (Weapon of Mass Destruction)*. 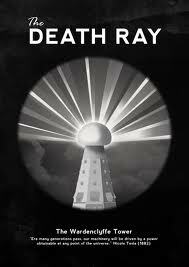 The anticipated effect was covert targeting, and delayed fatalities suffered by those targeted. Law enforcement was able to prevent the construction of the weapon, due to the placement of cooperating individuals inside the criminal conspiracy, after parties who were solicited for funding notified the authorities. Both defendants have been committed to pretrial detention. They were obviously considered to be threats to the community by the Court. The next time a client states that the purpose of a loan is Working Capital, kindly enquire further. *United States vs. Glenn Scott Crawford and Eric Feight, Case No. : 13-mj-00312-CFH (NDNY). An Argentina-born American Physicist and his wife have pleaded guilty, in US District Court* in New Mexico, to attempting to assist Venezuela in developing an atomic bomb within ten years, through the sale of classified information they possessed, as former employees at the Los Alamos National laboratory. Fortunately, the "Venezuelan diplomat" was an undercover agent of the Federal Bureau of Investigation (FBI). 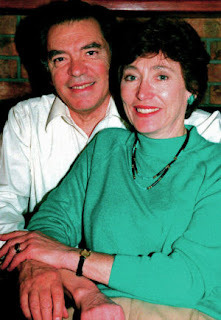 Pedro Leonardo Mascheroni, and his wife, Marjorie Roxby Mascheroni, face sentencing on charges that include selling classified data to an agent of a foreign power. The physicist could receive as much as 66 months in Federal Prison, followed by ten years of Supervised Release; his wife faces a shorter term of incarceration. *United States vs. Mascheroni et al, Case No. : 10-cr-02626-WJ (D NM). An Iranian exile group in Canada has publicly identified the principal player in the scheme that has brought Iranian nationals to Canada, using passports illegally obtained in third countries. He is Anoushiravan M. Ghamsari, known as Anoush. Ghamsari, who does not have a license to operate an an immigration professional in Canada, facilitates his clients' illegal entry as visitors, and not as immigrants. I am wondering why Citizenship & Immigration Canada has not yet shut down his operation, and others like it. Once they arrive in Canada, they disappear in cities where there is a substantial Iranian expat population; Ghamsari reportedly arranges for bogus identity documents. It is said that he charges them $25,000 in advance to normalise their status, but then takes to action in their behalf, which is tantamount to fraud. He is also linked to a company, whose name is apparently not registered in Canada, that is involved in serious sanctions violations. Many observers of the Canadian immigration scene believe that the real reason that the Government of Canada temporarily halted two of the major immigrant investor programmes was not that applications were back up, but that rampant immigration fraud was uncovered. Unfortunately, we are not seeing the amount of arrests that the situation demands. When other immigration fraudsters are publicly identified, we shall named them as well. Readers who are not familiar with our previous article on the subject can access it here*. 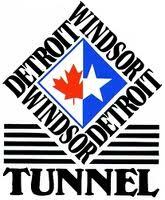 A female dual Lebanese-Canadian national was arrested, by US Customs & Border Protection, at the Detroit-Windsor Tunnel, when she attempted to bulk cash smuggle more than C$72,000 into the United States, without declaring it. Moura El-Asmar* was hiding the money, as was her daughter traveling with her, along with two unrelated male friends, sewn into both females' brassieres. El-Asmar, who claimed that the money was her savings from her newspaper delivery job, and that she was taking it to Lebanon, to give to another daughter, had a criminal record in the United States, which makes her ineligible for entry, according to an affidavit filed by the arresting officer. Was this story a fabrication ? Was she a cash courier ? Whilst no indictment had been filed at press time, charges of Bulk Cash Smuggling and Failure to Declare are pending. Did the cash come from drug profits, and was it being brought to a designated terrorist group in the Middle East ? We cannot say. One of the males in the car, coming from Canada, was Hispanic; What was his role ? When further information is released, we will follow up on this story. *United States vs. El-Asmar, Case No. 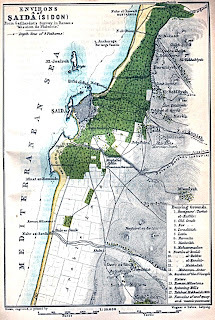 : 13-mj-30359 (ED MICH). The State of New York Department of Financial Services has imposed a monetary penalty, upon consent, in the amount of $250m, on the Bank of Tokyo-Mitsubishi UFJ. The violations included sending funds to countries against whom sanctions were in place, including Iran, Myanmar and Sudan. 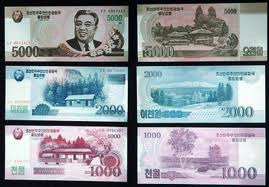 The bank reportedly stripped information from wire transfers, to conceal the sanctioned destinations. To review the entire text of the order, access the link below*. 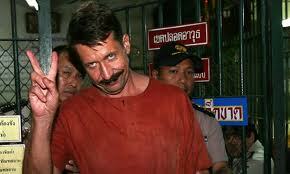 WHY NO LAWYER FOR VIKTOR BOUT'S MONEY LAUNDERER ? (1) Why has no attorney entered a permanent appearance on his behalf ? Just a "for bail only" limited appearance by a public defender, who apparently stipulated to pretrial confinement, meaning that her efforts were strictly to ensure that the defendant was represented in court. These is a mention that she was acting for an attorney named Marlon Kirton*, an experienced criminal defence attorney who accepts CJA appointments, but he has not appeared, nor filed any pleadings, which is strange. (2) Why is there no filing to indicate what happened on 28 May, when the Pretrial Conference was scheduled to occur ? There are no pleading to indicate that it was cancelled, or rescheduled, and no sealed pleadings, which often indicate cooperation with law enforcement in underway, to suspect that any plea bargaining is in progress or completed. has he made a deal ? (3) What's going on in the case ? That last filing was on 25 May, three weeks ago. I will continue to follow the case, and keep you readers fully advised. * Attorney Kirton has appeared in 92 cases in the Southern District of Florida, according to PACER; he is a former Legal Aid (public defender) attorney. 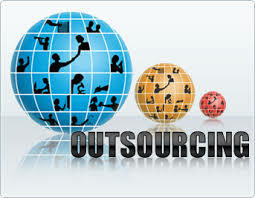 ARE YOU OUTSOURCING YOUR COMPLIANCE ? IF SO, DID YOU CHECK THEM OUT ? The scandal unfolding before a committee of the United States Congress this week: the background investigation of the NSA whistle blower, by an outsourced entity, appears to have been, a least in part, improperly performed by the investigators. The allegations are that hundreds, if not thousands of background investigations were, in truth and in fact, faked. This brings up a weakness in AML/CFT compliance. If you are outsourcing any part of your compliance, or relying upon the compliance performed by others (if that is permitted in your jurisdiction), have you adequately vetted the individuals, and companies, who you delegated to perform those functions ? 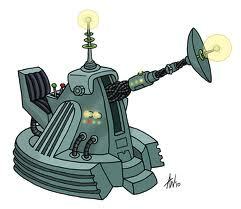 And if you delegated the vetting to yet another company, who vet the entity doing the vetting ? 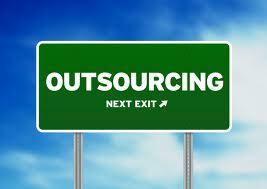 Have you actually personally the viewed the qualifications and experience of the compliance staff who you outsourced these tasks to ? Did you call their work references ? Did you visit their offices, and observed their operation ? It is, unfortunately, far too easy to "check the box" from afar, and fabricate compliance work product. company that you are using, that you check their work frequently, and that you ensure that they do not cheat on the tasks at hand; no shortcuts, please. It appears that the use of so-called reputation management firms, to hide negative information from compliance officers, is not limited to individuals looking to open bank accounts. A major money transmitter/money service business in embattled Somalia reportedly used the services to conceal the fact that individuals now imprisoned by the United States at Guantanamó Bay, Cuba were clients. The MSB, who announced a few months ago that it had entered into a major agreement, with an American bank with offices in the Midwest, to assist in sending remittances to Somalia from the US, has been linked to the designated global terrorist group, Al-Shabaab. 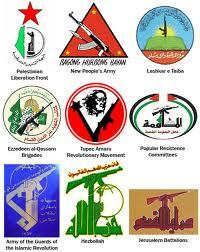 Allegedly, the MSB pays a large annual fee to the terrorist organisation, and some of its leaders have accounts there. I am at a total loss as to why a major US financial institution would knowingly partner up with an MSB known for terrorist connections, and why American regulatory agencies have not acted against the bank, and any others that work with that MSB. The MSB, though not a licensed bank in Somalia, uses the term "bank" on its account statements; one was published on the Internet, by a whistle blower exposing the fact, in connection with the Al-Shabaab connection. This is a misrepresentation of a material fact, and further reinforces my opinion about the MSBs suitability, for any purpose, for transactions that involve US persons. The use of a reputation rehabilitation company, by a prominent money service business, to conceal information that would affect compliance decisions, by financial institutions considering a business relationship, or even a single transaction, is disturbing, because it indicates that the use of such services has spread to the financial and corporate world. Readers may want to review my recent article*, on my opinion that the Internet is no longer a valid information source for compliance enquiries, due to the activities of companies which seek to hide the truth about their clients, amidst the confusing fog of multiple Internet postings and websites. *Has Reputation Management rendered Search Engines obsolete for Compliance ? An organisation with offices on Dubai, Tehran and Mogadishu is reportedly illegally providing Iranian nationals with valid passports from third countries, which they use to travel to Canada. Once they arrive, they are absorbed into the existing Iranian expat population, in the country's largest cities. 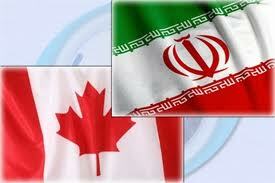 In this manner, a large number of Iranians have been able to enter Canada, notwithstanding the country's current freeze on new applications for immigrant investors, and the termination of diplomatic relations between the two countries. 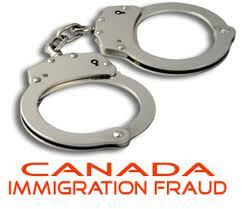 The scheme surfaced after a number of these illegal immigrants complained that they have paid substantial advance fees, to the company that assisted them to illegally enter Canada, which were specifically for normalising their status, but no action has been taken on their behalf. Their wealth is believed to be illicitly transferred to Canada via Hawallah, at a cost that exceeds the normal charges for this type of undercover service. The company providing all these services is therefore involved in immigration fraud, advance fee fraud, and illegal international funds transfers. I have identified the principal actors in this criminal scheme, but since there is a pending criminal investigation, I am not disclosing their names, and photographs, at this time, though I will do so should criminal charges be filed. One wonders why Canadian governmental agencies are not taking action to identify, and deport, illegal immigrants from Iran, especially in light of the recent sanctions imposed by Canada upon Iran. These are affluent individuals, not political refugees. They have not legally entered Canada, but it appears that the reputed political power of the Iranian expat community in Canada has resulted in an unofficial hands-off policy with respect to Iranian illegals. ARE YOU UNWITTINGLY BANKING ANY VIRTUAL CURRENCY BROKERS ? Now that virtual/digital currency dealers and brokers are required to obtain both FinCEN, as well as state, money service business licenses, and those who fail to do so are being targeted, you should review your existing accounts, to determine whether you are banking any company or individual in the virtual currency industry. hint: they may be harder to identify than you think. Since was an unregulated activity, prior to the FinCEN ruling, participants in this unconventional method of finance may have resorted to subterfuge to appear to be something else entirely. 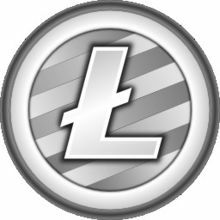 Though this is a relatively new class of payment system, virtual currency brokers and traders must, initially at least, exchange dollars for virtual funds. 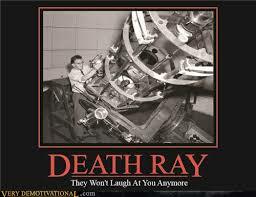 That is how you will probably identify them. Do you have any clients whose lines of business involve barter, or exchanges of some sort ? These may be cleverly-disguised virtual funds dealers. Any new clients with substantial business that doesn't seem to fit into any known category ? Though there are no established red flags for identifying virtual currency companies, any unusual or unconventional bank client could be one, and in performing a search, you just may find some whose accounts involve financial crime, in the process. Reportedly using information obtained through earlier investigations involving Swiss bank accounts held by US citizens, American law enforcement is seeking details of Liechtenstein foundations, controlled by US taxpayers, which held accounts that each contain more than $1m in assets not reported to Uncle Sam. Foundations are frequently used to own corporations, formed in other tax haven jurisdictions, as they have no beneficial owners. Given that the Swiss Government is finalising its negotiations with the United States, which will afford American authorities information access heretofore not available under Swiss bank secrecy laws, you can expect US pressure upon Liechtenstein to be persistent and insistent. Apparently a half dozen Liechtensteiner financial advisory firms are in the American cross-hairs, though they have not been specifically identified. One must assume that they include the largest, and most prominent financial service companies in the Principality. If previous American pressure has not sufficiently frightened American with unreported accounts in Liechtenstein, rest assured that this new action will drive them, en masse, out of what many consider the last of the European offshore financial centres with ironclad secrecy policies. 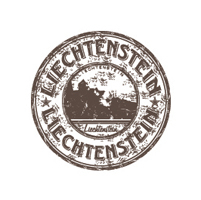 (2) Where beneficial ownership of the corporation cannot be determined, by reference to the company's records, because either a trust, or a foundation, is in title, and said entity was formed in Liechtenstein. 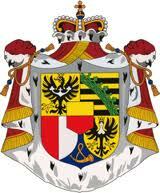 Will you see any Liechtenstein "flight capital" being moved by nervous Americans ? Perhaps not, but keep a sharp eye peeled for the above indicators, please, lest you suffer for it later, when law enforcement comes calling.